Weddings with a modern twist..
At the PLATTER SHARE we create grazing tables and platter boards to suit any style of wedding - be it understated, rustic, lavish or modern - we'll work with you to put on a beautiful spread. Whether it is pre-ceremony, or during the photographs - you can relax and enjoy the day knowing your guests are well taken care of. Our per head price provides an abundance of delicious foods, much more than traditional canapés and no one misses out! 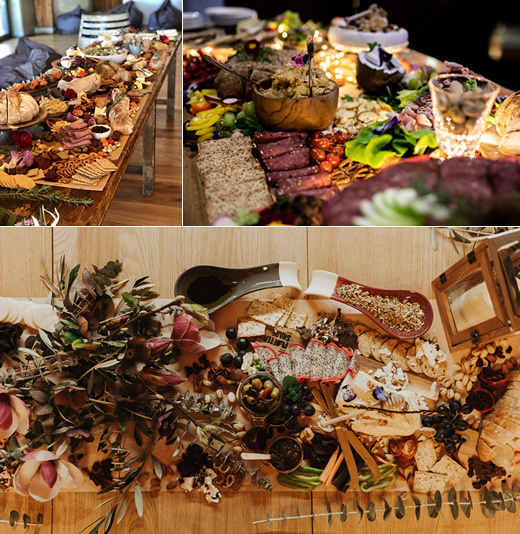 These days some people even choose to do away with the whole 'sit down' meal all together and just let their guests graze into the night and we have options to make this happen if thats your style..
Also... have you considered a grazing table for your pre and post wedding day catering? Relaxed 'day after' BBQ? Yes please! Let us take the stress off you..
We are passionate about not just using the finest of ingredients, but presenting your feast as a work of art. 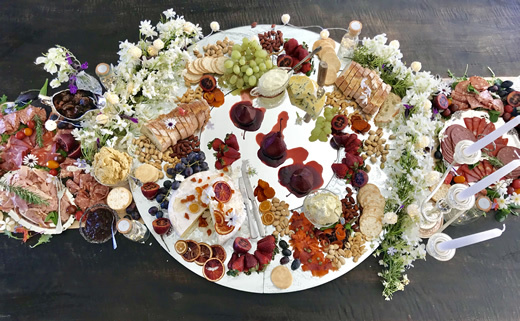 We believe you eat first with your eyes but never compromise on taste - so we make many components of our tables in house; from our handmade chocolates, salmon gravlax, poached pears - to all our dips, spreads and chutneys and so much more.